Tips for hiring a solar contractor | West Coast Solar, Inc. Hiring contractors for any type of work, whether it’s plumbing, heating, air conditioning or installing a Bay Area solar energy system, can be a bit overwhelming, especially if it involves reconstruction. There are thousands of contractors out there to choose from, and picking the right one can seem like trying to find a needle in a stack of needles. Request multiple bids. The first person you call in the yellow pages or on the internet may not be the most qualified contractor, and they may not give you the best price. By soliciting bids from others, you’ll get a more competitive quote, and the prospective contractors will have to work harder to win your business. 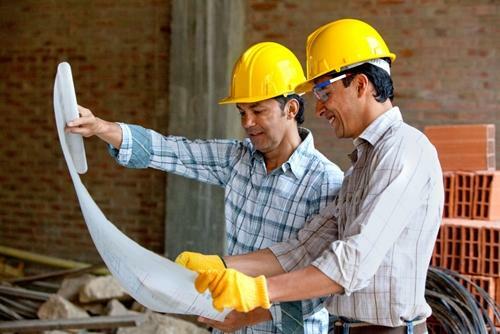 Check your contractor’s license on the California Contractors State License Board website. This will ensure that you aren’t hiring someone who has performed inadequately for previous clientele. Request references, and research the information for each one. If possible, visit past job sites to view the finished work yourself. At West Coast Solar, we’re confident that we can give you the best bid, the highest quality work and the most courteous customer service if you’re considering having a solar PV system installed on your rooftop. We’re state licensed and can provide you with excellent references to prove we know what we’re doing. Contact us today to learn more!